Being in possession of a "light destiny" I am able to travel to the world of Spirit and the supernatural. My light destiny was show in my 4th year as a child. I am aligned to the Maolang chief of the auxilliary spirit tribes, one of the main Spirit, who maintains and whom I see as a horse. At the age of 13, I moved to being a star soul, connecting to my light destiny before innitiation. I was given the Spirit paq called "Da 'ar", whom was released as being the guiding Spirit of one before me upon her death. I have since taken a long standing personal shamanic vow, at the age of 16. I have agreed to devote all my spiritual powers, healing and abilites. I am to relieve suffering of both human and animal beings. I am to spread the values of spirituality. I also took the vow to honour my shamanic ancestral teachers. Just before I came to this incarnation, before I chose to reincarnate through my family line, I wrote my destiny, with my own hands and soul. I try to explain these principles and the agreed contracts to those who seek my advice. Sometimes, in my shamanic flights, I see the rainbow serpent which brings me messages for the seeker, the one who is asking for guidance. All comments are moderated. Please allow at least 12 hours for your message to be shown. All inappropriate messages will be deleted. My life's path has always been traveled along the non-ordinary realm. I wish for you extraordinary visions. When I think of you, I will create a vision of you looking at the star-filled skies, I see you finding your path. May the Wisdom and Spirit of the Ancestors manifest in your life so that you may draw from your personal mystical history. in all his work. I pray that as you have read my site, you can draw on the vast storehouse of all that you have learned in past lives and build a bridge beyond the ordinary. For those of us who truely love the spirit of theyr horse, here is a special present/memorial piece of timeless art work. On a canvas, I am offering an original, unique, mixed media piece of art, which will illuminate and show off your beautiful horse! The spirit of YOUR horse will leap off the canvas, the angelic connection to you will be obvious. I also add a crystal to signify your bond with your horse or even horses at the soul level. Canvas sizes vary, prices start from £100 upwards depening on the size of the canvas, post and packaging. Please send your enquiry to Spirit of Your Horse directly via email at SpiritofYourHorse@googlemail.com. Please include a few photographs of your horse in order that I may make a connection with your special friend. I will channel fitting lines of text for your canvas, then produce them in freeform caligraphy. Please send me the name, age, breed, type of discipline like Hunter Under Saddle, showing, jumping, western, happy hack, colouring and anything else you feel I would need to understand the spirit of YOUR horse! As your spiritual piece will include a metalic sheen in the lettering and as highlights, please include your choice of metalics. I provide either gold, silver, pewter, (so plenty to choose from!) 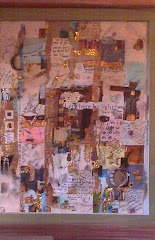 also copper, mixed metalics, ruby metalics and gold leaf. Each piece will come with a greeting and blessing. The Spirit of Your Horse collection will be available in August through my eBay shop. I love to read your replies, however, when you are leaving comments, please respect mine and other people's personal space. Personal attacks, harassment, hate speech, defamitory statements, swearing, hateful imagery and threats or any kind, are not allowed. Respect the privacy of others. Keep your Gremlins to yourself and work on releasing them instead!